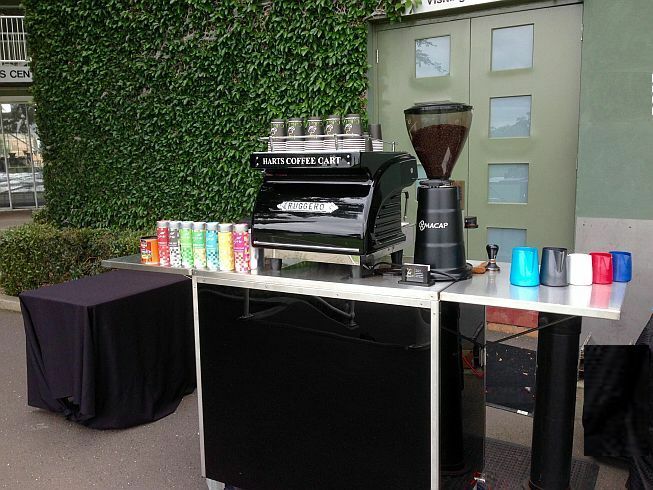 An all inclusive mobile coffee cart and professional barista service for your next function or event in Melbourne. 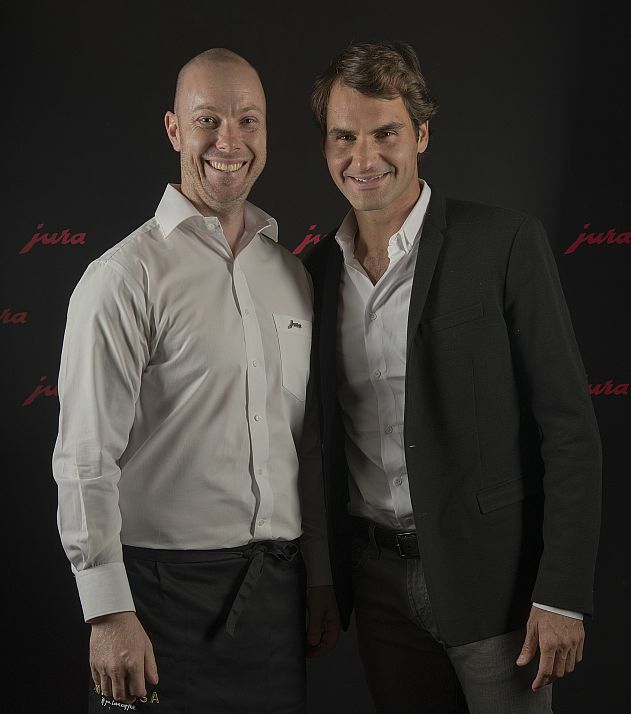 Jason Hart, owner of Hart’s Coffee Cart providing a Coffee Cart and Barista Service for the annual Roger Federer Event at Crown Casino Melbourne with Jura Australia. 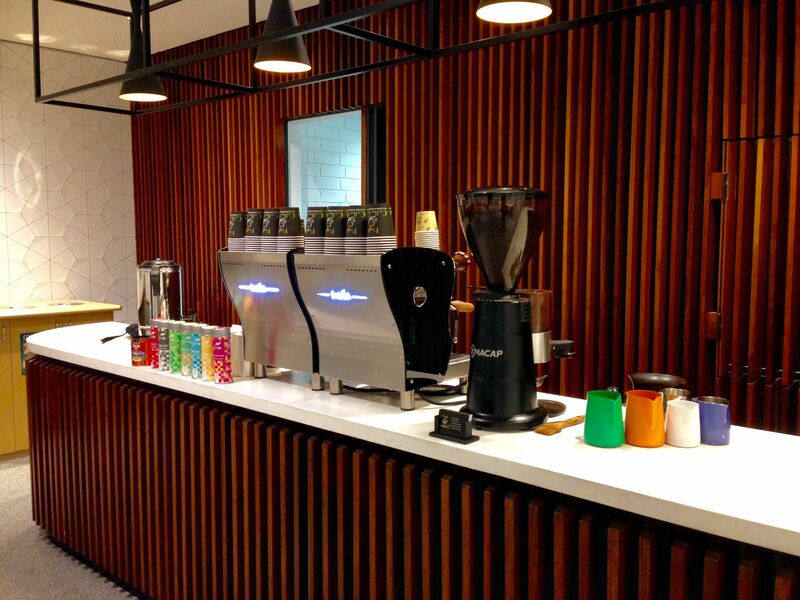 Looking for delicious coffee and friendly service for your next indoor event? 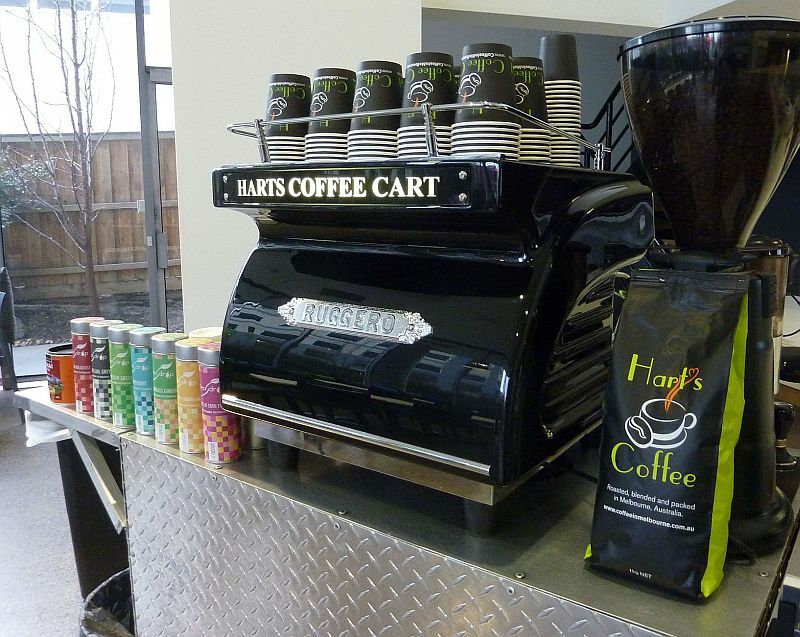 Hart’s Coffee Cart is owned and operated by Jason and Karine Hart. 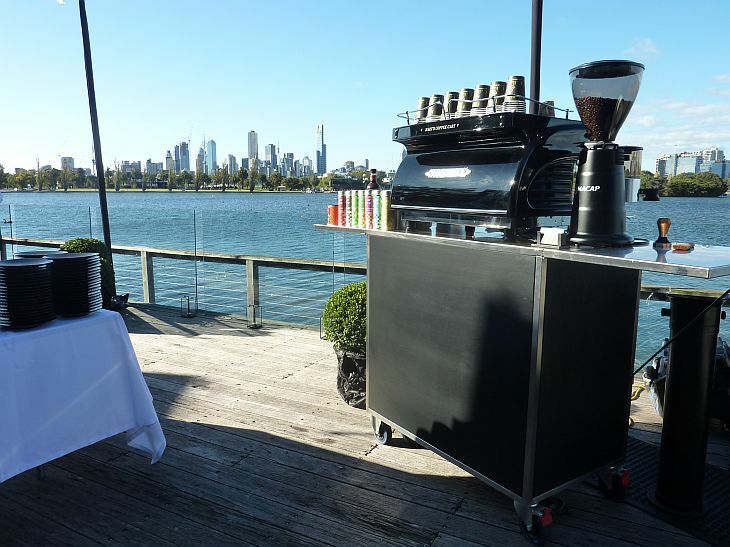 We provide a boutique Mobile Coffee Cart and Barista hire service for a variety of functions including Corporate Events, Private Parties and Weddings in Melbourne. We are not a roaming coffee van or coffee truck service. Please check out our FAQ’s for more information. 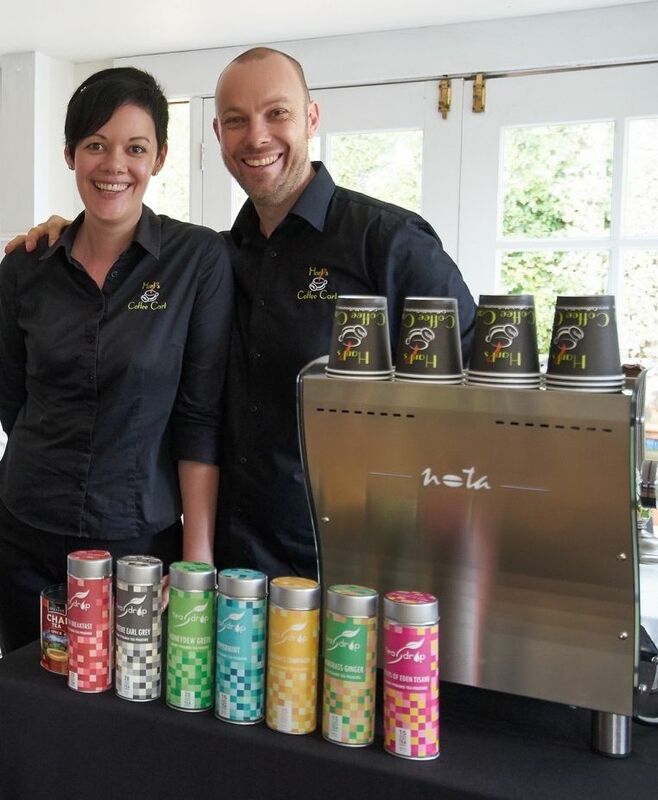 Karine and Jason Hart, Owner Operators of Hart’s Coffee Cart Melbourne. Your guests are served the freshest cafe menu options in a prompt manner all with a friendly smile. 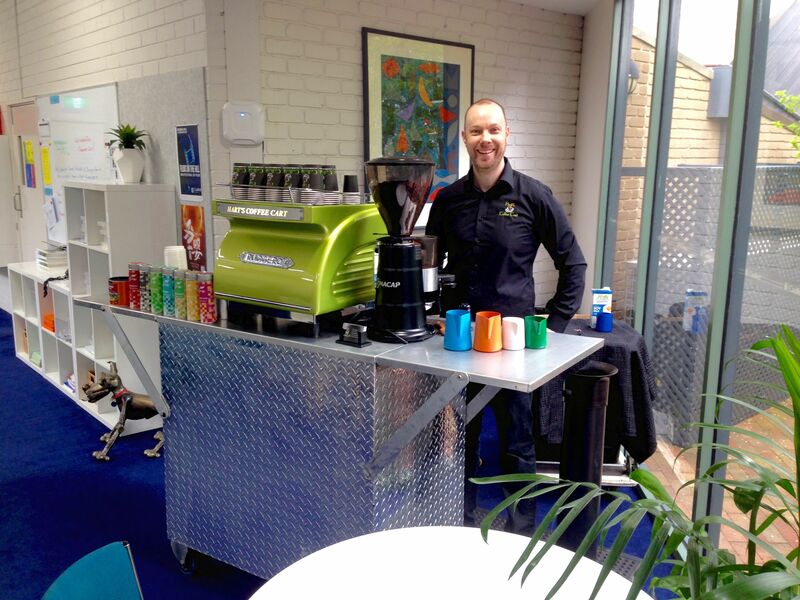 You can view our different sized coffee cart set ups below or read more on the Coffee Cart Melbourne page. Expobar Ruggero Twin Group (Black Betty) Our slick looking gloss black coffee cart. Requires 15/20amp single phase power. 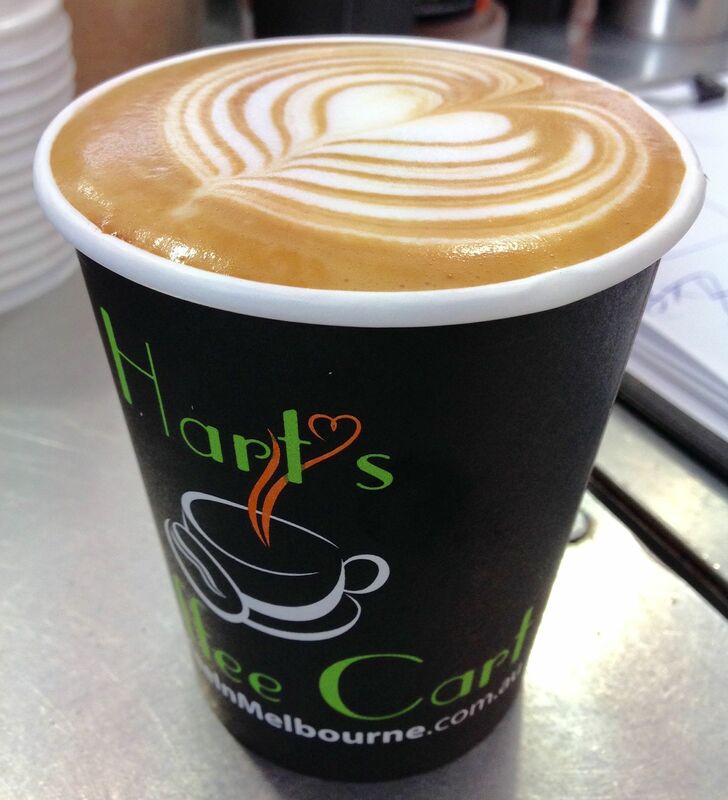 Part of Hart’s Coffee Cart Melbourne is to provide Barista Training for anyone that wishes to improve their coffee making skills. Training is provided by Jason Hart as one on one or in small group sessions in Berwick 3806. Alternatively, training can be offered at your cafe, business or home. 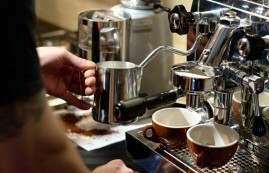 Read more on the Coffee Training Melbourne page. Head over to the online coffee store where you can order your Hart’s Coffee beans; roasted fresh and packed in one way valve bags delivered straight to your door via express post. Read more about it here on the Buy Coffee Online page. Just wanted to say a huge THANK YOU for making today an amazing event and great COFFEE!!! We look forward to have you to come in again next year. Many thanks for the oh so many coffees you made on Sunday for the Faculty Xmas break up. I know the parents always appreciate arriving and having a coffee. I did overhear one couple saying we didn’t go for our morning coffee because we knew we were coming here and would get a good one! Thank you so much for Saturday, it was such a pleasure having you in store. The team said it was a great way to build a rapport with the customers and have them stay longer. Heather Ferdinands - Powerquip Sales & Services. Thanks for your great service on Sat night. I’ve had lots of positive feedback from several people, how hospitable and friendly you were and what a good idea a coffee cart was. Of course the drinks were great too! Thanks for coming on time and making Laurens 21st an occasion to remember. Thank you, thank you, thank you!!! YOU GUYS ARE THE BEST!!!!!!! The wedding wouldn’t have been the same without you, we received so many great compliments about you. “Great Coffee” “Great People” “So Friendly” and more! I cannot speak more highly of the team at Hart’s Coffee! From the first phone call right up to my wedding day the process was so easy. Their team was always professional, nothing I asked for was too much, my guests absolutely loved them and their coffee was amazing! 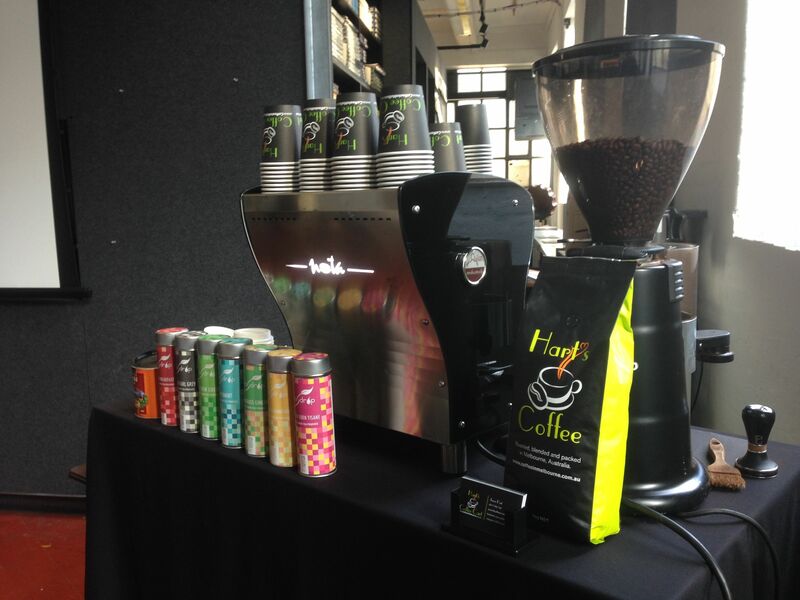 Harts Coffee Cart catered for our conference of 60 people and they were fantastic! They were professional and extremely friendly. Most importantly their coffee tasted wonderful! I would recommend them to anyone and everyone! We both really appreciated having your coffee cart at our wedding ceremony. Everyone raved on about how good the coffee guys were and was the perfect option to have in between the ceremony and reception! Thank you once again for your support at an AAPT client event. We appreciate Hart’s Coffee’s professionalism, punctuality, friendly manner and of course great coffee. Our clients expectations are always exceeded when they are greeted with the perfect coffee in the morning. AAPT look forward to working with Jason and Karine again in the future. Thanks again – I had some great feedback from our guests who thought the both of you were absolutely lovely! Thanks for your coffee cart services! Everyone had a blast and really enjoyed your coffee. We will definitely keep you in mind for future events. Have a great evening and thanks once again!! Just wanted to say thank-you to you and your wife for attending and serving coffee/drinks to the guests at my daughters wedding on Saturday. Your professionalism was second to none and was very much appreciated on such a very busy and important day. Having you there with the coffee cart was fabulous, it took a massive load off my mind and I know that all of the guests, myself included, enjoyed the delicious hot drinks. We were so thrilled with what you were able to do for us on our Wedding day. I’m sure you hear this a lot but so many people have commented on how wonderful it was to have you there, how great the coffee was and how lovely you and Karine were! Thanks again for a fantastic job on Friday. 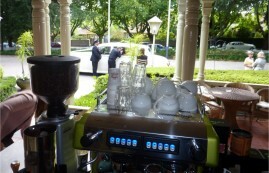 The mobile coffee service was amazing, our birthday breakfast would not have been as special without your coffee! We’ll definitely use you again if we have a function and I have already recommended you to friends. Thank you for yesterday – the service you provided was excellent and we heard many compliments in the crowd regarding the coffee. 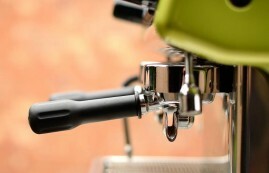 We will definitely keep you in mind for future events we hold where we require indoor coffee service! 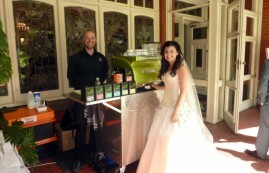 Jason and Karine brought their coffee cart to our engagement party and were a great success! We found both of them to be highly professional and extremely friendly. 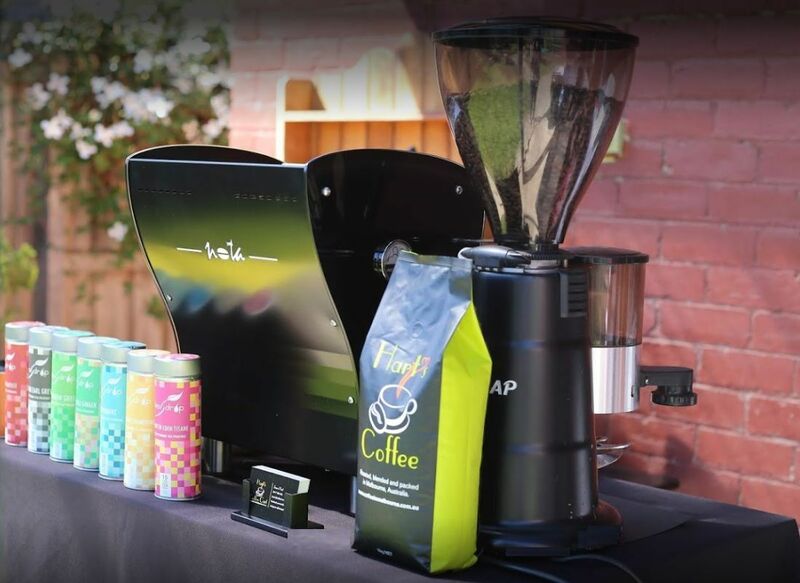 They were a great addition to our party and the guests thoroughly enjoyed the coffees. Jason and Karine were reliable, in regular contact and happy to answer all our questions. 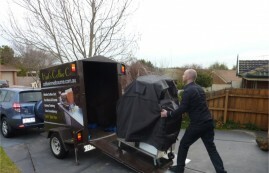 We were thoroughly impressed with them and the service they offered. Mobile Coffee Cart Melbourne "Hi Jason and Karine, Just wanted to say a huge THANK YOU for making today an amazing event and great COFFEE with your mobile coffee cart!!! We look forward to have you to come in again."